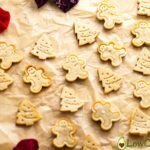 These keto gingerbread cookies are festive, easy to make and gluten-free. 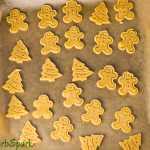 Enjoy some delicious low carb gingerbread cookies that you can decorate or enjoy plain. Christmas is approaching so fast. My whole house smells like cookies. We made some Keto Gingerbread Cookies to have on hand for when Santa arrives. They turned out perfect. I think he won’t even notice that we served him sugar-free and gluten-free gingerbread. If you are a true Christmas lover, I bet you already have all the ingredients for making this recipe in your kitchen. I love using the classic Holidays spices. 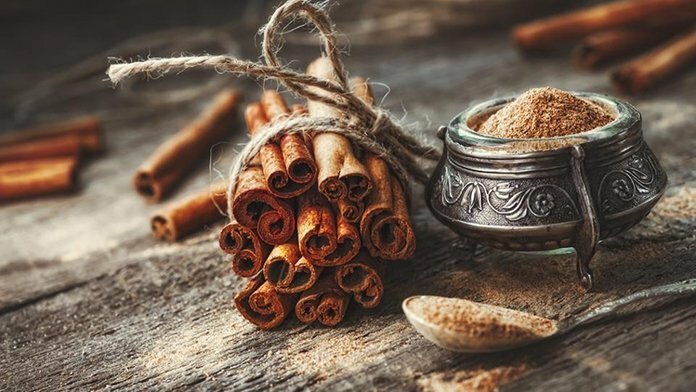 Cinnamon is by far my favorite. I could eat anything that has cinnamon in it. If you want these cookies to be kid friendly you could reduce the number of spices used. 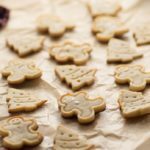 How to make keto gingerbread cookies? All you have to do is to slowly mix the keto flours with the egg, coconut oil, vanilla extract the spices until it has the consistency of a dough. Don’t be afraid to use your hands. Using an electric stand mixer will make your job much easier since all you have to do is to add all the ingredients in the mixer bowl and let it work. If you feel like the dough is too wet add one more tablespoon of coconut flour to absorb the moisture. It really depends on the brand or the way it is stored. The most important part is to let the dough cool down in the fridge for at least 2 hours. 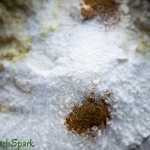 This step will make it easier to work with as the coconut oil hardens at low temperature. 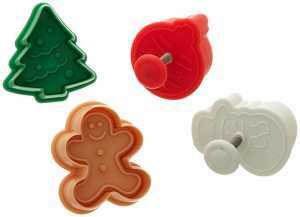 To cut my gingerbread dough I used the cutters shapes below. Aren’t them pretty? After I learned how to use them, the cookies turned out perfectly. You can cut the cookie without imprinting the design, but I love them with the design because I don’t feel that there’s a need for adding icing. This will save you some carbs. Simply press down to cut the outer perimeter and then gently push the button to imprint the cookies. Super easy to use! You know what crossed my mind right now? Do you have a keto friend? Or just someone who loves eating healthy? Add in a transparent bag some keto gingerbread cookies. Use some beautiful ribbons and a gift tag and there you have a personalized special gift. Let me know in the comments below if you tried this recipe and how it turned out! I would love to hear from you! The absolute best part of this season is a perfectly spiced Keto Gingerbread Cookie (or two) served with a cup of Turmeric Bulletproof Tea as a snack or with a cup of Butter Keto Coffee . 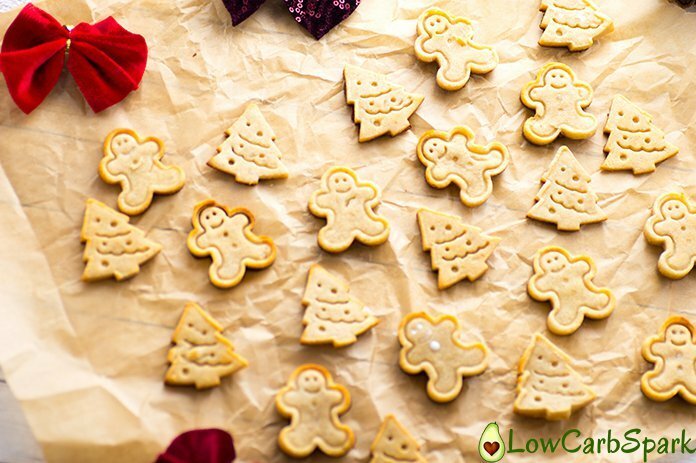 With only one NET carb per each Gingerbread man, you can enjoy them freely. Mix the almond flour, the coconut flour, sweetener, cinnamon, nutmeg, ground ginger, salt, and baking powder in large bowl. Set aside. Add the egg, the melted coconut flour, the vanilla extract, the softened cheese and mix well. When the dough starts to come together, use your hands to shape the dough. Line cookie sheets with cooking parchment paper or silicone baking mat. Sprinkle some coconut flour on the work surface. 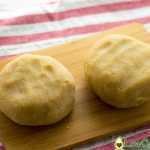 Top the dough with parchment paper and roll out dough to 1/4-inch thickness. 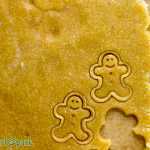 Use a Gingerbread cutter to cut the dough into gingerbread shaped cookies. Repeat the process until you have no dough left. Bake 8 to 10 minutes, until the edges are begging to brown. When in the recipe do you add the sweetener? I updated the recipe. You add the sweetener with the dry ingredients.